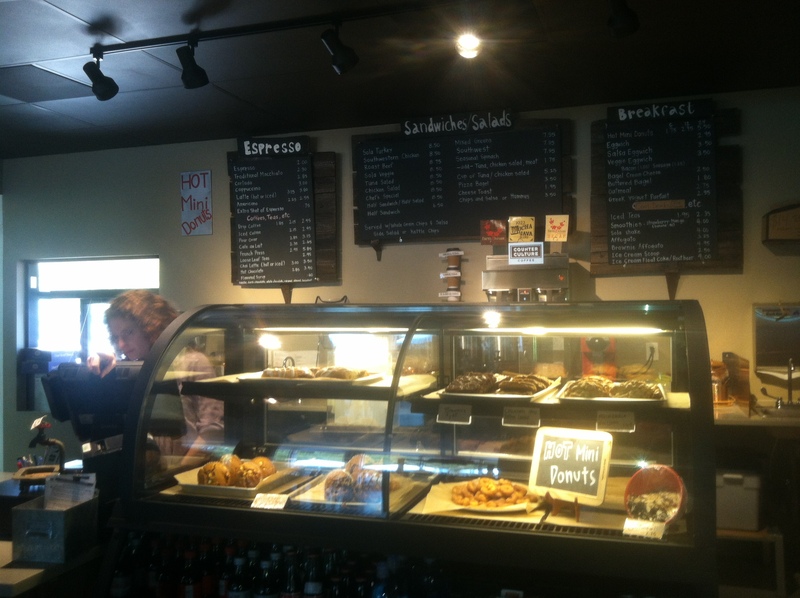 Sola Coffee Café is a locally-owned neighborhood coffeehouse located on 7705 Lead Mine Rd. 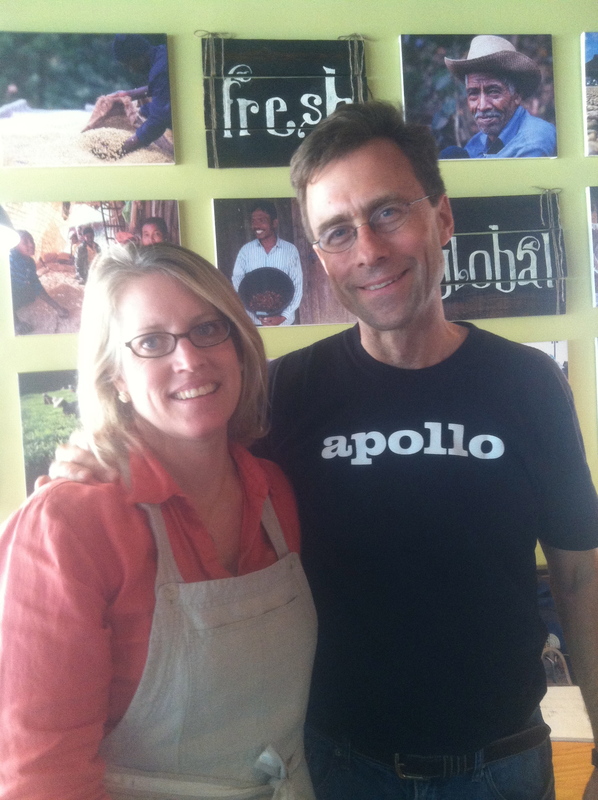 Before opening Sola, John and Jeanne Luther owned a restaurant in Maryland for about 8 years. After a mission trip to Nigeria in the fall of 1997, John knew there was more to life than being his neighborhood&apos;s "bagel man." John and Jeanne sold their restaurant and moved their family into a two bedroom apartment on Southeastern Baptist Theological Seminary&apos;s campus. John was fortunate enough to be hired right out of seminary by Christ Covenant Church in Raleigh, where his family still attends church. The couple knew how to run a restaurant and saw an opportunity to open a coffeehouse focused on their community, good food and exceptional coffee. After stocking two storage units filled with miscellaneous Craig&apos;s List purchases and searching for a space, the Luther family landed a location. They worked hard to transform an old building that used to be a bank, to a cozy coffeehouse in North Raleigh. 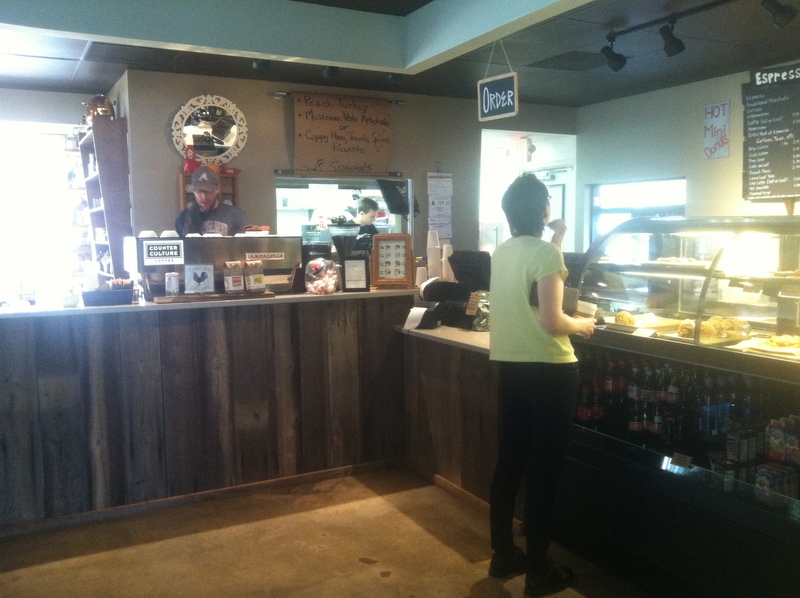 With help from their friends and family, Sola opened on March 22, 2012. I&apos;ve visited Sola numerous times and the sense of community is almost unreal. Jeanne and John wanted Sola to be a place where people connect and for a transaction to take place that surpasses just a cup of coffee. 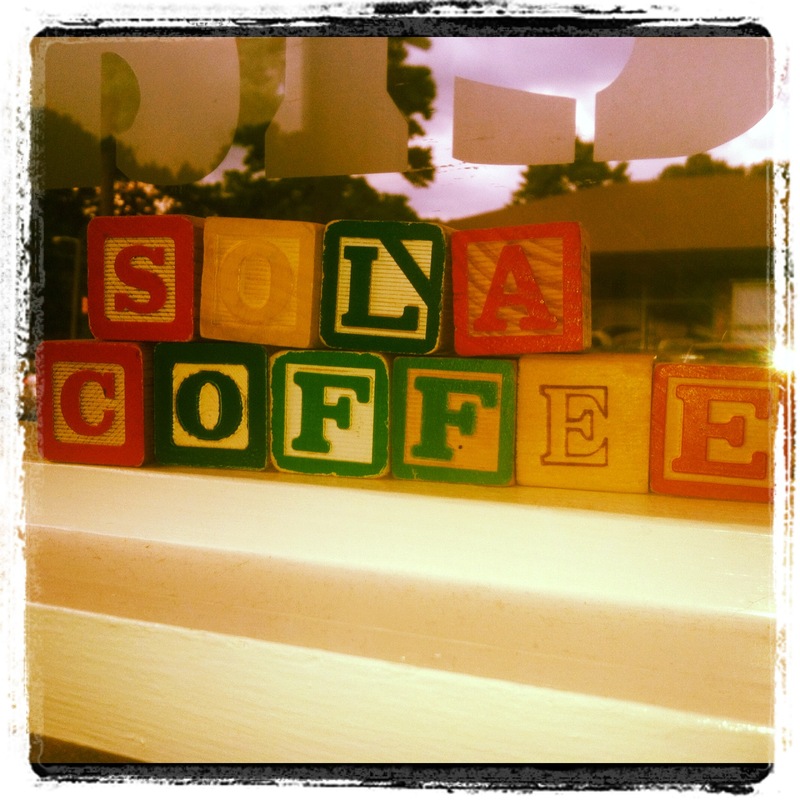 Sola is a relaxed coffeehouse that cultivates relationships in the community. Not only do the Luther&apos;s believe in supporting their local community, they believe in being globally and socially responsible. Sola only serves Counter Culture Coffee and Rishi Tea, two companies which are working directly with farmers to ensure the quality of the product and care of the grower. Pictures of the growers fill Sola&apos;s walls. They also host numerous events to raise money for non-profit organizations in the community and give out "Sola Surprises" to teachers, YMCA volunteers and other members of the community. Every piece of kitchen equipment, furniture and decoration in Sola has a story and exemplifies Sola&apos;s community-oriented atmosphere. The bakery case, utensils and black leather chairs all came from an old Borders. 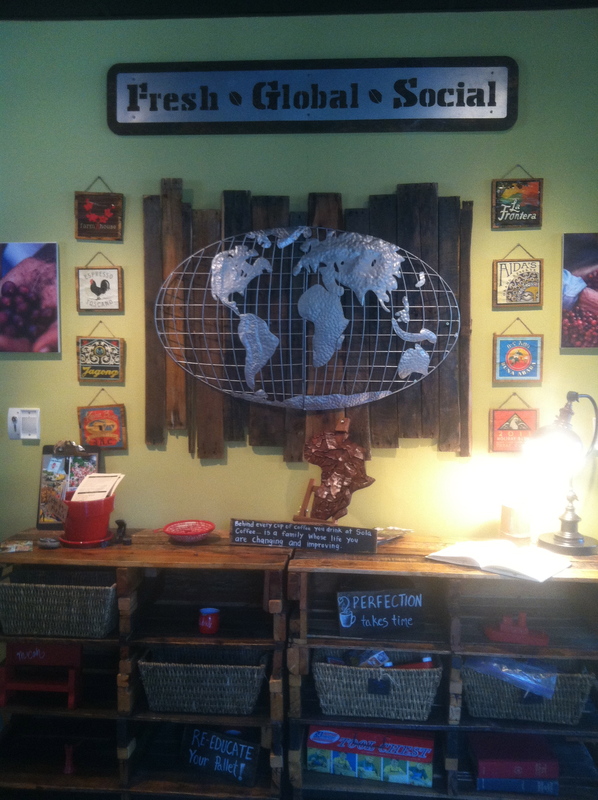 The coffee bar is encased in 107 year old barn wood from Eden, North Carolina. Bunk bed ladders house magazines and old wooden pallets are used as shelves, which hold a guest book for folks in the community to leave their mark. Sola&apos;s baristas are trained and certified by Counter Culture Coffee. The Luther&apos;s 13-year-old daughter even completed a milk chemistry class. You&apos;ll definitely want to cozy up with a latte in a comfy chair. The coffee is exceptional and Counter Culture Coffee is naturally flavorful because of their roasting process. 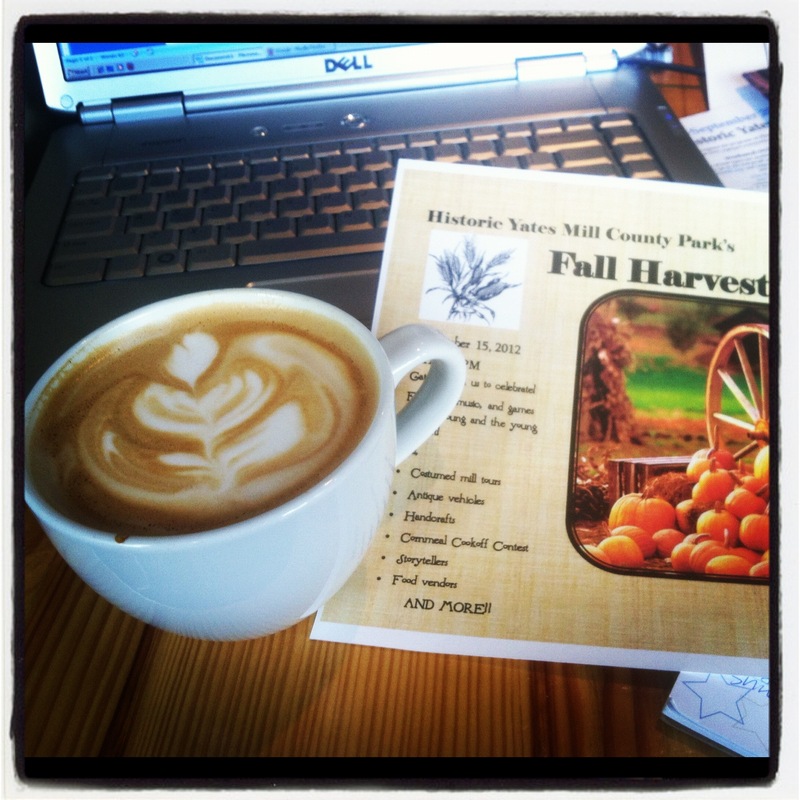 I enjoyed a pumpkin spice latte one day while blogging. Delish! Check out that latte art. Not only is the coffee amazing, the Luther&apos;s love really good food. They only serve food that&apos;s attractive, delicious and unique. Sola uses fresh, organic and local ingredients in every dish. They use Great Harvest breads and their bagels come from N.Y. Bagel and Deli located in North Raleigh. They are supporting local farmers by using Ford&apos;s Produce and Homeland Creamery dairy products. Jeanne also grows her own herbs outside on the patio and will have fresh rosemary this fall. You can&apos;t get much more local than that! Some of my recommendations include Sola&apos;s new Mediterranean pizzette made with naan bread and topped with artichokes, mushrooms, pesto, ricotta, mozzarella and garlic. The Sola turkey on wheat is Jeanne&apos;s favorite, which include Boar&apos;s Head turkey, bacon, Jeanne’s homemade dressing, black cracked pepper, cheddar, lettuce, tomato and Granny Smith apples. It&apos;s incredibly easy to eat healthy at Sola as well. They offer a wide variety of salads and John&apos;s favorite is the strawberry salad; a beautiful, sweet concoction of spinach, strawberries, feta cheese, red onions and almonds. Do me a favor and get a dozen of the hot mini donuts when you visit Sola. 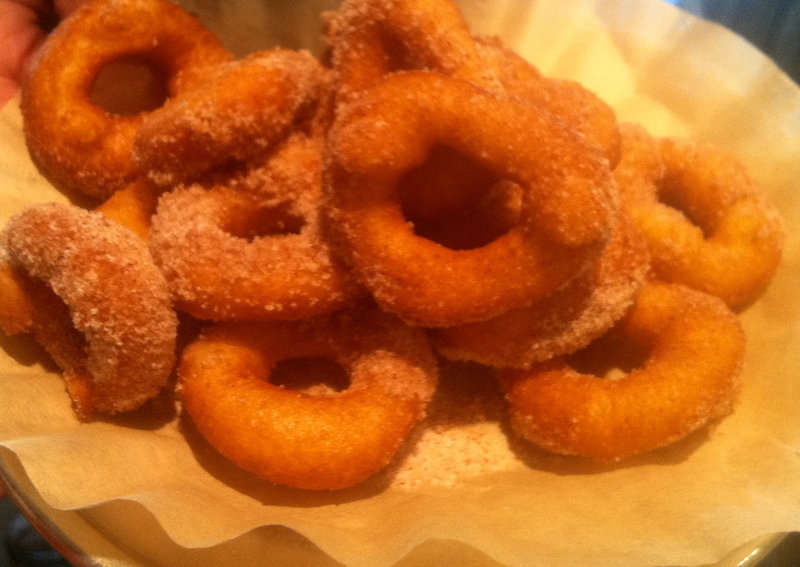 The donuts are rolled in cinnamon and sugar and are served in a coffee filter. Don’t feel that bad if you eat the whole dozen by yourself, the donuts are mini. I know I&apos;ve done it before and these donuts definitely keep me coming back! Sola has also discovered the power of incorporating coffee into their desserts. John and I split a Sola Shake, which he explained is made with Homeland Dairy vanilla ice cream and milk, honey, Counter Culture espresso toscano and love. The affogato is another one of the Luther&apos;s popular creations; ice cream served on a chocolate brownie with espresso spilled on top. There&apos;s something for everyone at Sola. Come out for live music and comedy shows on Friday and Saturday nights, or simply sip a cup of coffee in a cozy chair. You can also reserve tables and play board games with your friends and family. There are many creative ways you can use the space in Sola.